Inside of the green ball there are six timer activated pods. This means you set it up once and then let it go. Throughout the day, the Foobler will release the treats. You can set the timer for various intervals and a bell goes off when the Foobler is ready to play, which will get your animal’s attention. 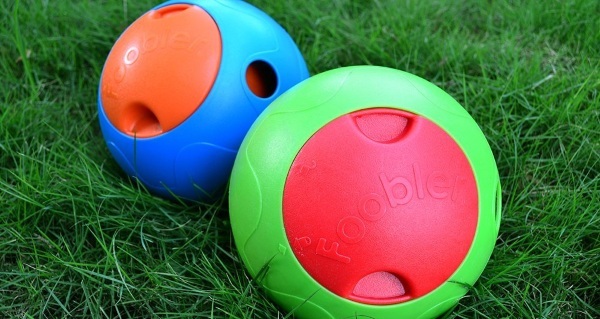 Unlike conventional puzzle toys, your pet can’t just power through this to get the treats. They have to return throughout the day to get a chacne at everything that the ball contains. Since dogs love food, it’s a sure bet that once they figure out playing with it more than once gives them results, they’ll be back for more. 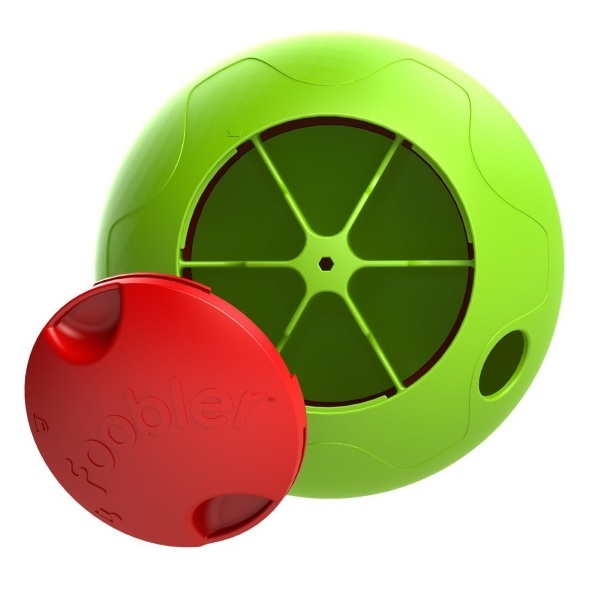 The Foobler has up to 9 hours of play time and costs $27.